Collect and spend Gallery Teachers Membership Points! Be rewarded for your contributions with the best and only membership scheme for ELT industry. 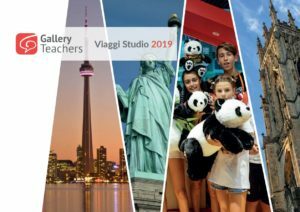 Earn DOUBLE Membership Points by Publishing your Blog Articles and E-learning Courses with Gallery Teachers before 30/6/2019. Please login in order to make a points transfer. We are adding more way to earn points every month! Make sure you check back often! Work hard and play harder, here are some great ways to spend your Gallery Teachers Membership Points! Membership Points can be used in participating study travel packages and events organised or co-organised by Gallery Teachers. You can make part or full payment using points with this option; simply transfer your points to username: membership.points with your message. 150MP = £1 when you spend points on GT travel and events. * Gallery Teachers reserves the rights to modify or terminate the points reward scheme at any time. Management discretion is final.